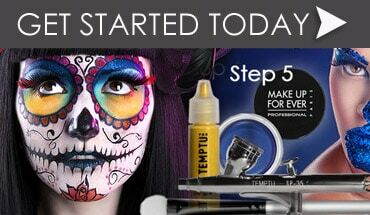 There is a prerequisite to becoming a successful professional makeup artist. 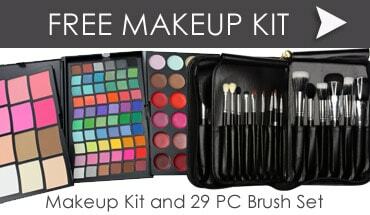 You need lots of passion and interest in exploring beauty products and cosmetics. You can start by learning the true art of applying makeup by enrolling into one of our dynamic Vizio makeup academy courses. You can also watch youtube tutorials, read magazines and online content on make up and skin care and keep yourself updated. If you know each cosmetic by its name and use, you can familiarize yourself better with these products. Whether you are a graduate of Vizio makeup academy or not, if you do not have knowledge of cosmetics and brands, you will not be able to thrive in the industry as well, remember knowledge is power. Try to gather as much knowledge as you can and also know the industry jargons. You can also gain knowledge about celebrity international makeup artists. With all of this knowledge, you will be able to impress your interviewer and or client’s. You can start practicing the art of applying makeup and also dress to impress. Vizio Makeup academy has several core beliefs, and one of them is to teach our student’s to display a personal sense of style and glamour. You cannot be a simple person possessing knowledge alone to be able to thrive in this industry, you must always put your best foot forward. It is good to practice the art of applying makeup daily and be prepared to answer questions about yourself and your objective of wanting to be a professional. One of the rounds apart from group discussions could also be testing your skills in application of makeup. You usually will get to choose a model for your application of makeup. You could either have a professional model to work with you or ask your best friend to help you to be the model for you. Choose someone who is bold and has great bone structure and features. 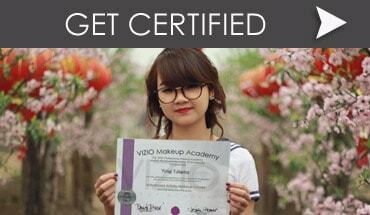 When you enroll into Vizio makeup academy, we will teach you how to prepare before attending an interview. The duration of these makeup classes is for a year, but many students finish within a few weeks to one month. These are also inexpensive courses that will give you good heads up on how to apply makeup for various occasions. After the interview, always follow up with an email and keep in touch with the interviewer on and off. Let them remember your interactions and develop familiarity. 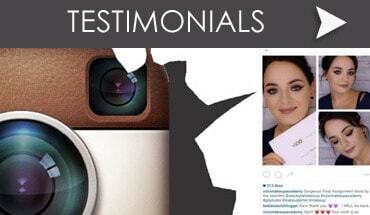 You can also email them saying how much you enjoyed the interview and also describe your passion for beauty industry.